Fire hides in wood, trees hide in seeds. the hidden treasures of Earth. Children, you are on Planet Earth to become love. Every human heart contains love. fear, anger, greed, or jealousy. 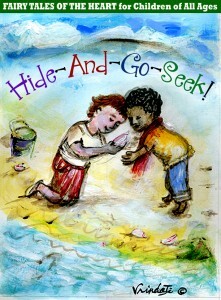 That’s, when the real fun of hide‑and‑go‑seek begins. TM Fairy Tale of the Heart is a Trademark of Transformations and Timothy Stuetz.